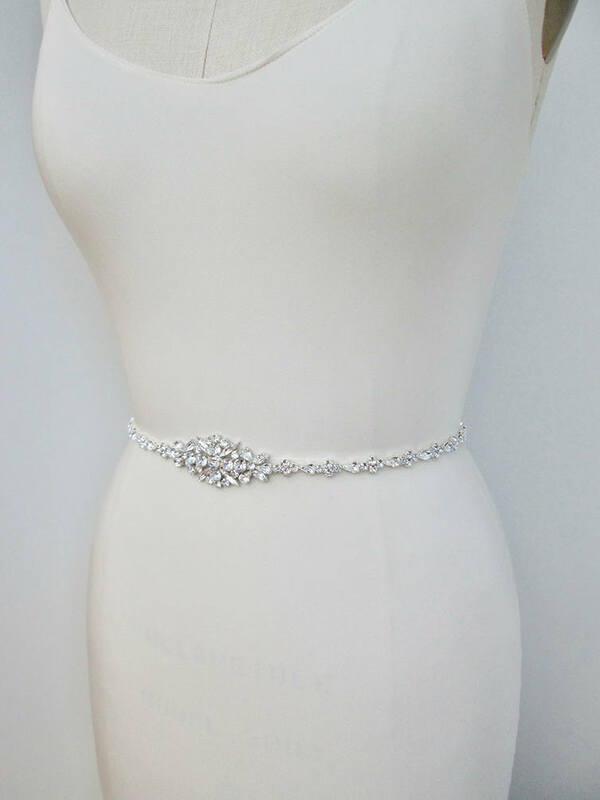 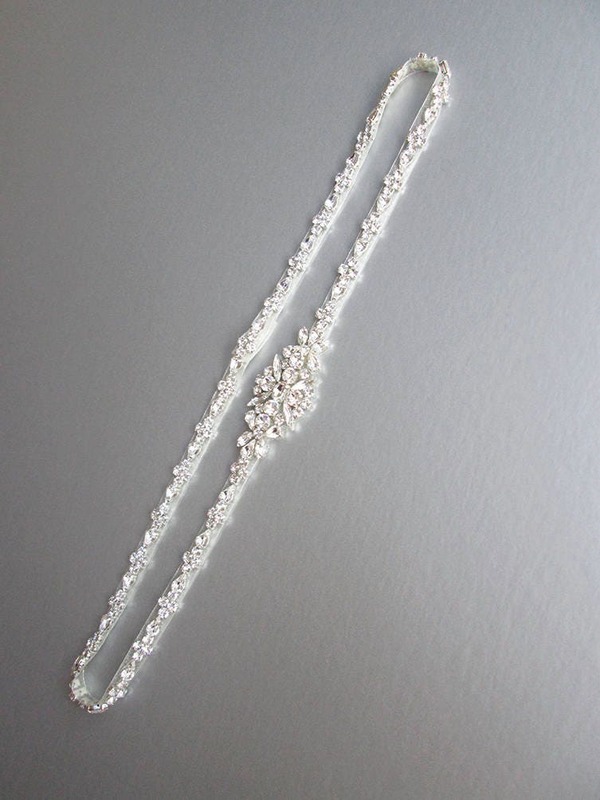 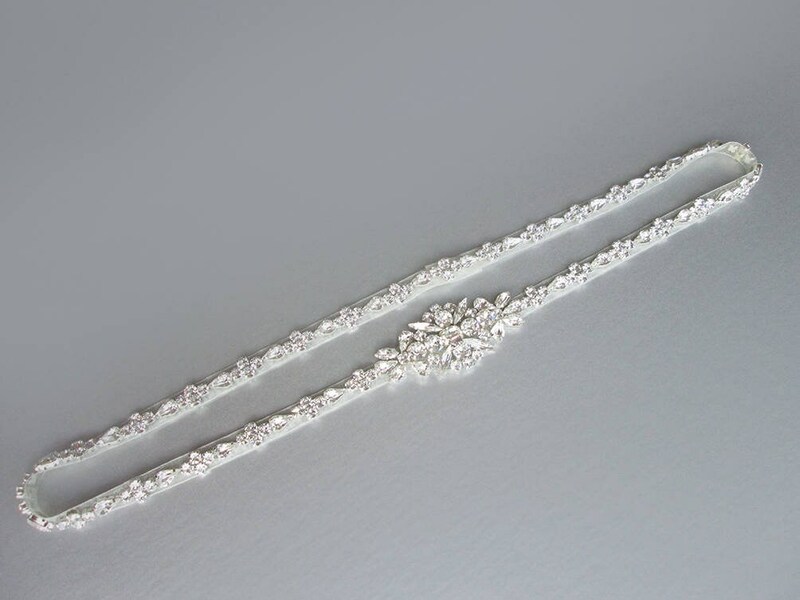 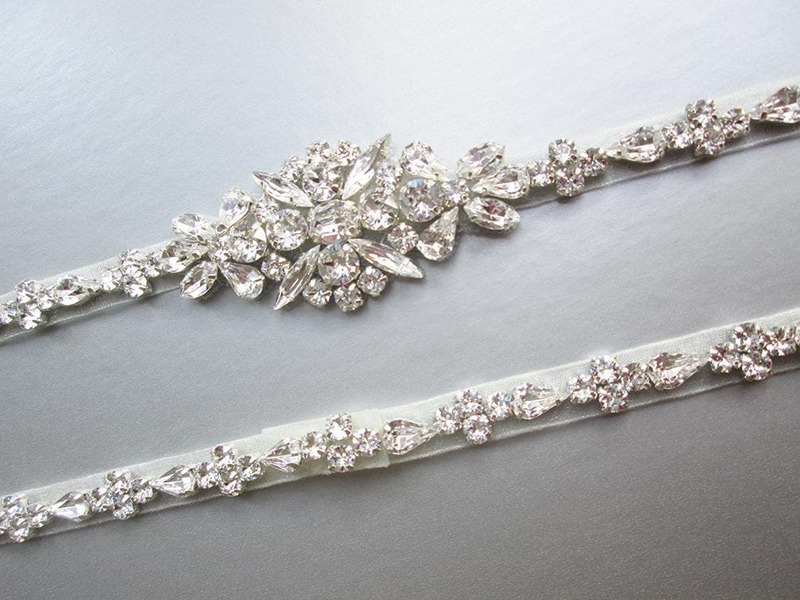 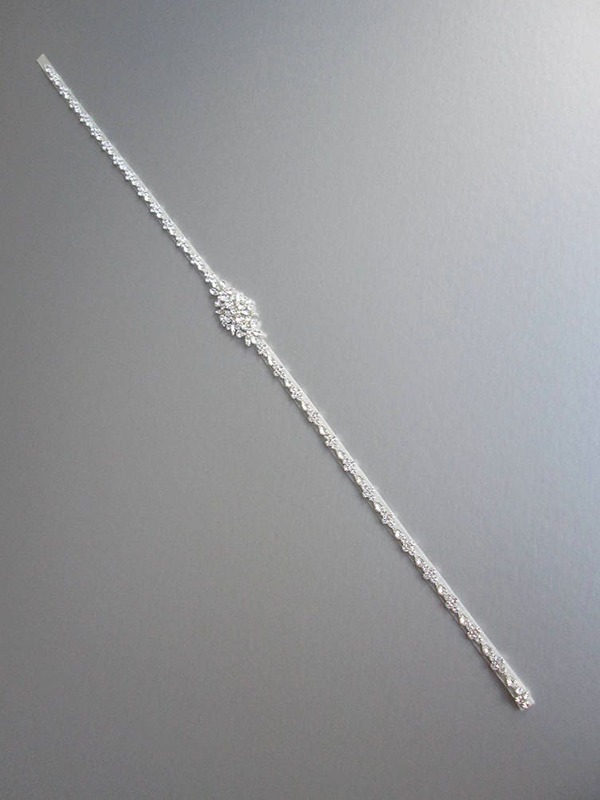 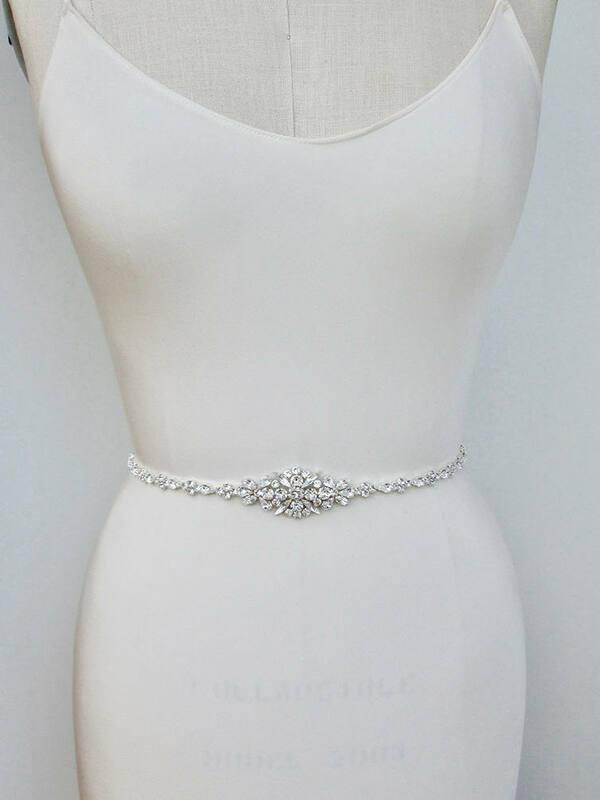 This elegant bridal belt is made with the finest Swarovski crystals and it is fitted to your measurements. 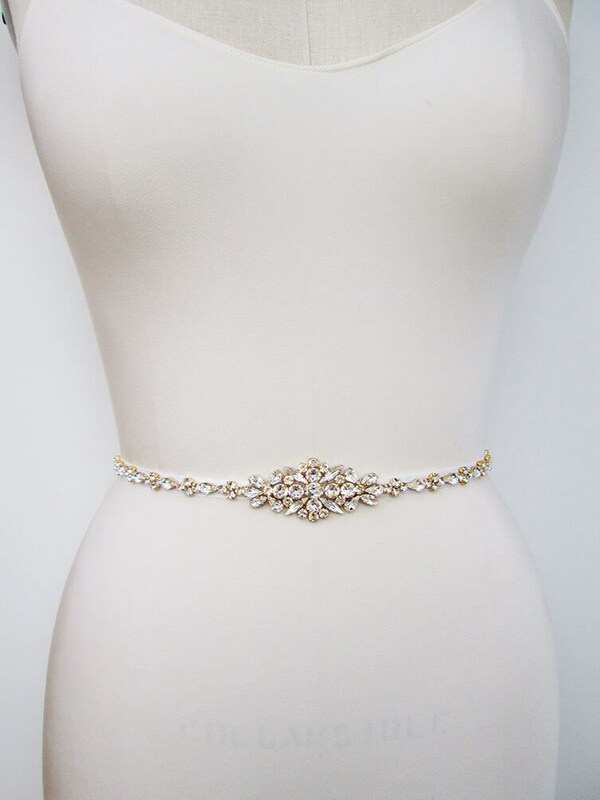 The belt measures 3/8" wide and the center detail measures 1 1/4" tall and 3" long. 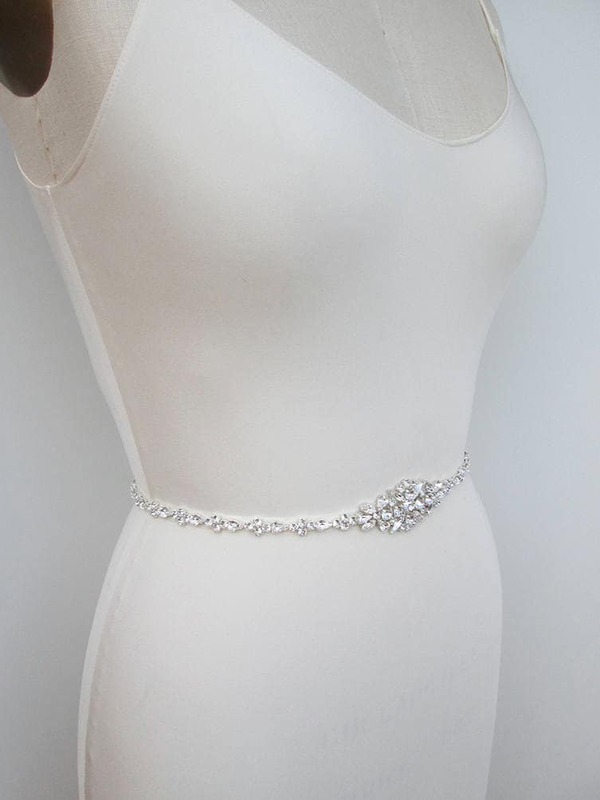 The belt is beaded on a sheer organza ribbon. 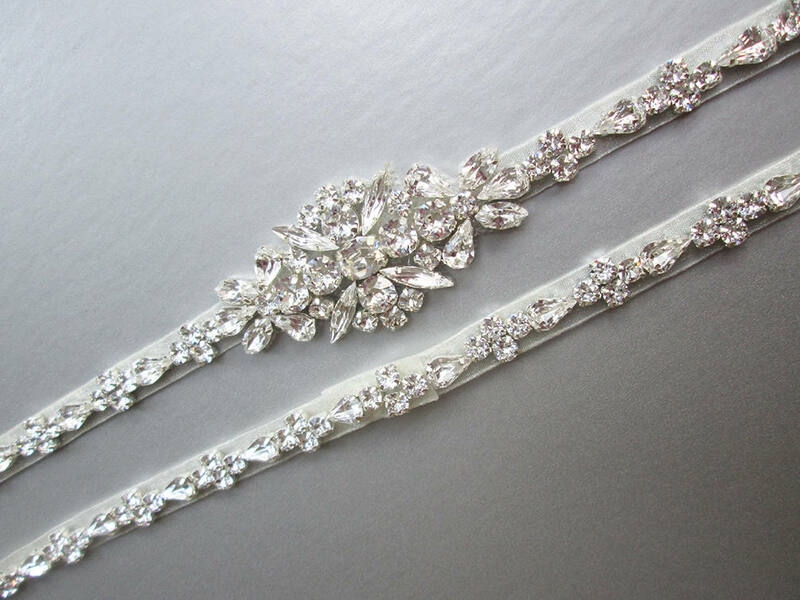 The organza ribbon is available in white, off white or ivory color. 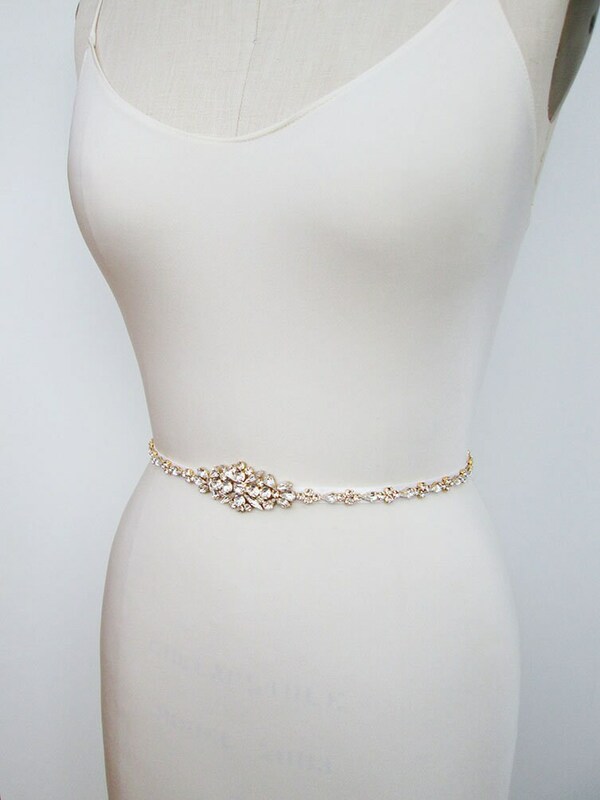 The metal settings finish is available in gold, silver or rose gold finish.